Founded in 2011, SatADSL has already installed more than 3,000 VSAT networks in more than 45 countries. It specializes in providing tailor-made solutions based on customers’ specific requirements and flexible service plans that meet its clients’ budgets. Through its carrier-grade Cloud-based Service Delivery Platform (C-SDP), which integrates the most advanced technologies, SatADSL provides custom-made networking solutions, tailor-made service plans and value-added services, including hierarchical service control and monitoring, traffic prioritization and online billing and payments, for any frequency band and any access technology. 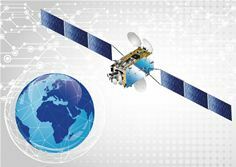 iSAT’s Satellite Solutions, backed by powerful Satellites, Teleport infrastructure and latest chosen technology solutions are unique in the industry, whether it’s for transmission of video, data or voice services. Based in Hong Kong, APT Satellite COMPANY LIMITED (“APT Satellite”) is a satellite company operating a fleet of four satellites, namely APSTAR-5, APSTAR-6, APSTAR-6C, APSTAR-7, and APSTAR-9. APSTAR-5C is currently under construction, it will replace APSTAR-5 in Q3 2018. The footprints of the fleet cover Asia, Middle East, Oceania, and most part of Europe and Africa, extending services to over 75% of the world’s population. Currently distributing 600+ TV channels around the world including HBO, Disney, Sony Pictures, NBCU, EBU, GMA, TVBI, TVn, Celestial Tiger etc, APT Satellite is also supplying transponder capacity to a variety of DTH platforms, as well as to media networks for video contributions across the world.